The Bellamy media chest is uniquely designed. 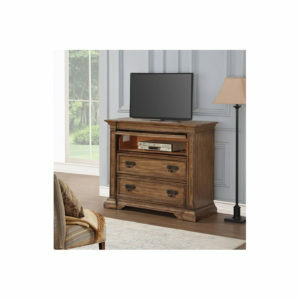 The European styling and beautiful peppercorn finish make this media chest special. 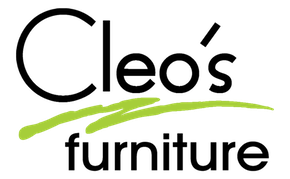 It has matte black pewter accented hardware, scrolling open woodwork and is made from pine veneer, pine solids and fabric. With three drawers, a hidden drawer and one wide-opening door you will have plenty of storage and space for your media needs. To enhance its beauty, this chest also features wood framed glass, three wood shelves, wiring functions, side mount ball bearings and seals to keep the dust out. 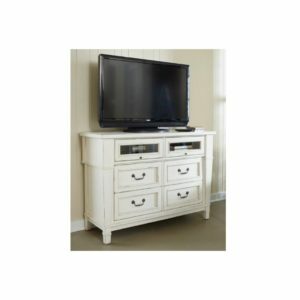 Fusing style and practicality, this media chest allows you to store clothes, linens, remotes and display a TV while keeping wires and electronics well organized with two open compartments. 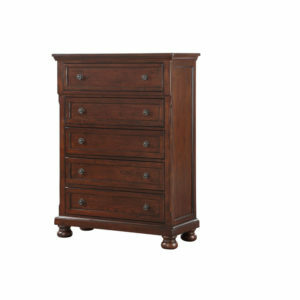 Sophistication and craftsmanship are embodied in the Kennett Square dresser. 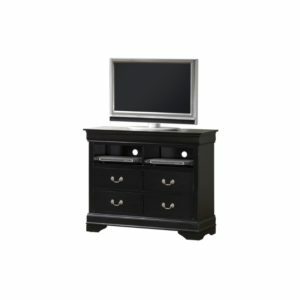 This dresser is designed for a smaller scaled condo or urban environment. Crafted of fine Mindi veneers, laid up in stunning book-matched patterns, the softly curved legs and six drawers beckon artistic styling. 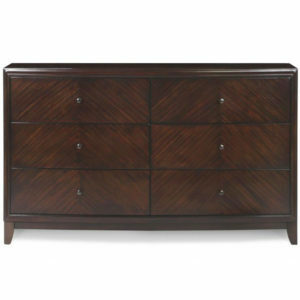 The Louis Phillippe bedroom suite is crafted of cherry solids and veneers with a black finish. This plasma chest has four spacious drawer and two open cabinet spaces for hold all of your media needs. Stylish and simple, the Louis Phillippe plasma chest easily goes with any furniture in any room. 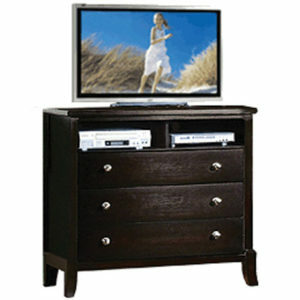 The Manhattan Media Chest will enhance any room in your home. 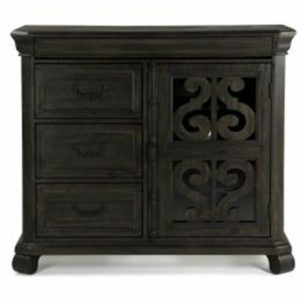 The dark wood and silver knobs make this piece elegant. Three drawers and two cabinets provide space for media items. This very affordable rustic dresser has eight drawers and two cabinets to keep your personal clothing organized and easily accessible. 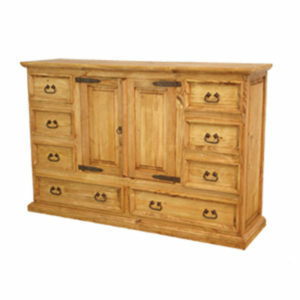 The solid pine has a distressed finish that is very durable. The southwestern style goes well with most casual decor. 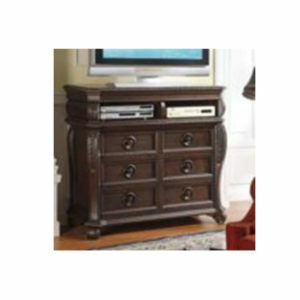 The Stoney Creek media chest is perfect for storage and style. Featuring four drawers, two small cabinet spaces and a large base for your TV, you will never have to worry about space. This space fits most TV sizes and with a simple and sweet elegance.